Galaxy S10 will be revealed on February 20 at Samsung’s scheduled hardware event in San Francisco. The handset is expected to diverge from recent Samsung tradition by arriving in three models rather than just two. It has been rumoured a cheaper version of the product is set to be showcased and could be called the Galaxy S10e. Alleged images of the hardware recently surfaced online and suggested it will arrive with a flat screen rather than one with a signature curved design from Samsung. The claimed Galaxy S10e was also displayed with two cameras on its rear rather than the three rumoured to arrive on its more premium brothers. Galaxy S10 is also anticipated to come with an all-screen design and a hole punch-style notch that houses each phone’s front-facing sensor. Additionally, each device is expected to come pre-installed with Android 9 Pie and have Samsung’s One UI skin running on top of it. Galaxy S10 is expected to be priced at a premium no matter which model customers decide to purchase. Gizmodo previously reported on the alleged pricing for each model of the flagship. 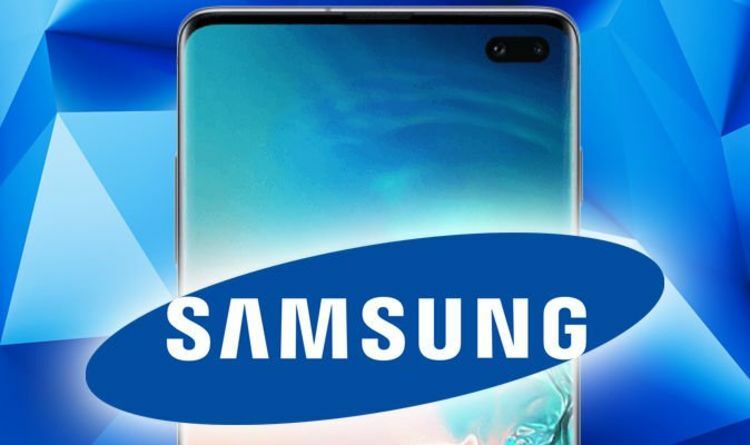 While the prices of the Galaxy S10 are certainly rumoured to be high, it appears Samsung may launch the phone with a tantalising offer that could soften the blow for fans. GalaxyClub recently claimed source code for the new flagship’s teaser page in Russia hinted the firm could be planning to give away free Galaxy Buds as a pre-order gift for the device. Galaxy Buds are a pair of wireless headphones that have been rumoured to debut alongside the S10 on February 20. WinFuture recently showed off a leaked image of the buds in a charging case. Moreover, the headphones were shown wirelessly charging on the back of an S10 device, suggesting the Samsung handset will be able to power other products that are placed on its rear. Such a characteristic is similar to the functionality already offered by the Huawei Mate 20 Pro. WinFuture claimed the Galaxy Buds could cost as much as €149 (£130.68). The inclusion of the headphones could be used as an incentive for more Android fans to pre-order the S10. GalaxyClub insisted the source code analysed also suggested the Galaxy S10 will be made available to pre-order on February 20, the same day it is announced. Moreover, pre-orders were said to be cease on March 7. However, it is unknown if such timings will apply to all regions the S10 launches in. If Samsung does include its Galaxy Buds as a pre-order incentive for the S10, it is also uncertain if this will be the case for all territories. While the new rumour will surely be incredibly tantalising for fans of the South Korean OEM, it is worth noting the claims mentioned have not been confirmed by Samsung. Instead, the manufacturer is expected to reveal all about the S10 on February 20.